Things are finally starting to happen all over Dorset. The Plaice have moved into Poole harbour and several boats have been successful in targeting them. Mackerel are showing up on Chesil, still in low numbers but at least they are being caught. Plenty of Plaice have been caught down at Cogden and West Bexington, along with Small Eyed Ray. Mullet have arrived in force in most of the harbours along the coast. Weymouth and West Bay are full of them. The majority of them in Weymouth are Thin Lips, but the Thick Lips will arrive in the next couple of weeks. As you can see from the picture below I as lucky enough to get one. It would seem that even the Wrasse have started taking soft plastic lures. I think that is going to be one of my target species for today. Chesil Beach: Calm with a small swell. The water is lightly coloured. Portland: A small swell and slightly coloured water. Chesil Beach forecast: The tides are starting to build again, the temperature is increasing quite quickly and the fish are moving in. Head West if you want flat fish, or head East towards Portland for Wrasse and Pollock. The bait of the moment for the Plaice seems to be Ragworm tipped with frozen black lug. The Plaice are still at range, but the Dabs are very close in. Portland: Reports from around the South West all say that the Pollock have disappeared, but the Wrasse have moved in. If you want to go for the Wrasse you have a few options. Float fish for them, but then you normally only get small ones. Go heavy and use Crab or Ragworm, but expect lots of tackle losses, or use soft plastic lures and have great fun on lite gear. Conger, Pollock, Pout, Rockling and Bull Huss are all possible on night tides. Chine is one of my favourite marks at this time of year. It can throw up anything. Portland Harbour: Flounders are being caught from along the Rodwell trail neer Welworthy Social Club and Sandsfoot Sailing Club. No sign of Thick Lip Mullet in the harbour yet. 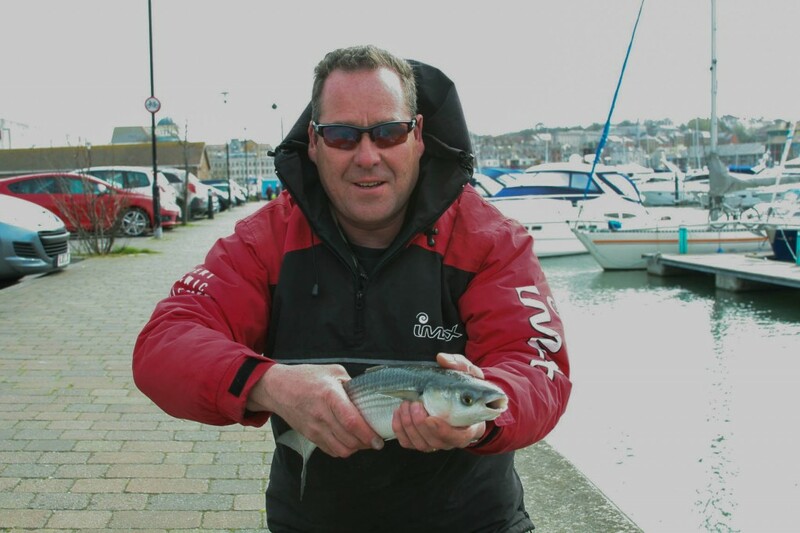 Weymouth Bay: Weymouth harbour is full of Thin Lip Mullet, there are quite a few Flounder returning, as well as the odd Bass.